Hearts in textile. Minds on machinery. 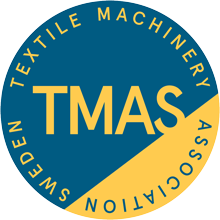 Leading Swedish companies within textile technology, automation and production processes. We are people tightly woven together by a common passion. We are driven by our love for textile and our dedication to providing the most creative machinery solutions for the global textile industry.